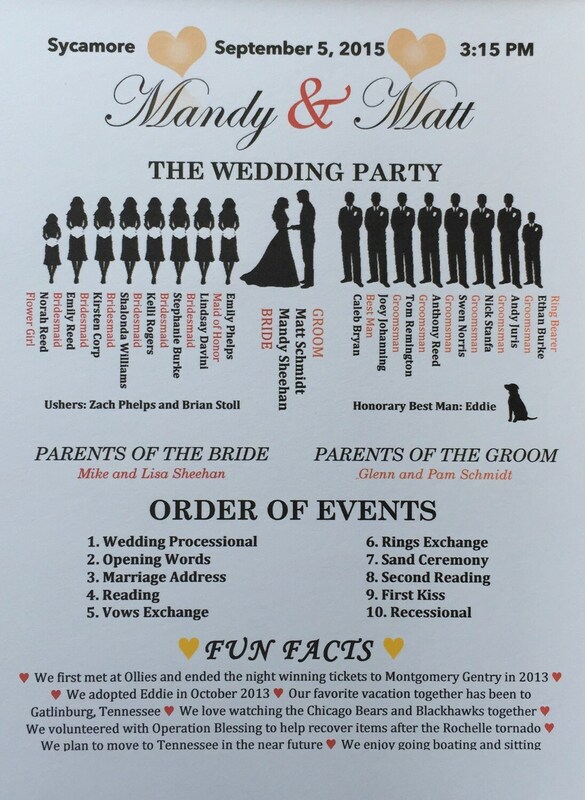 This unique, completely customizable wedding ceremony program is a great way to introduce your wedding to your guests. 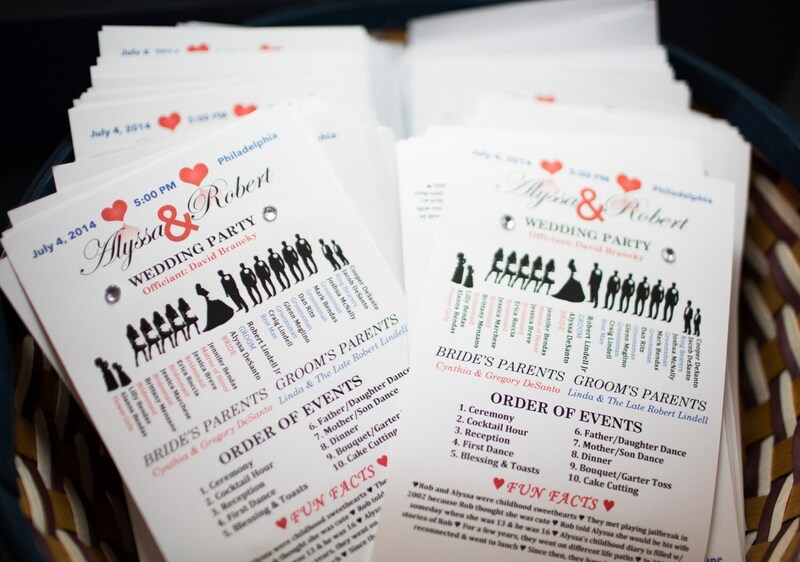 The program includes the date, time, and location of your wedding. 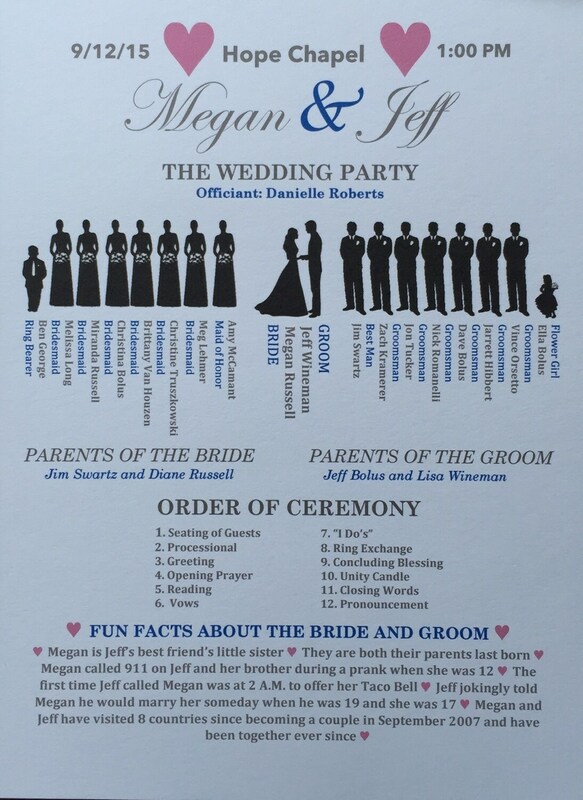 Pictures and names of the complete bridal party, parents of the bride and groom, the order of events, Jewels (Not included), and fun facts about the bride and groom! THIS IS FOR A PDF FILE ONLY. YOU WILl RECEIVE A DOWNLOADABLE PDF FILE SENT TO YOUR EMAIL. Ready to print. 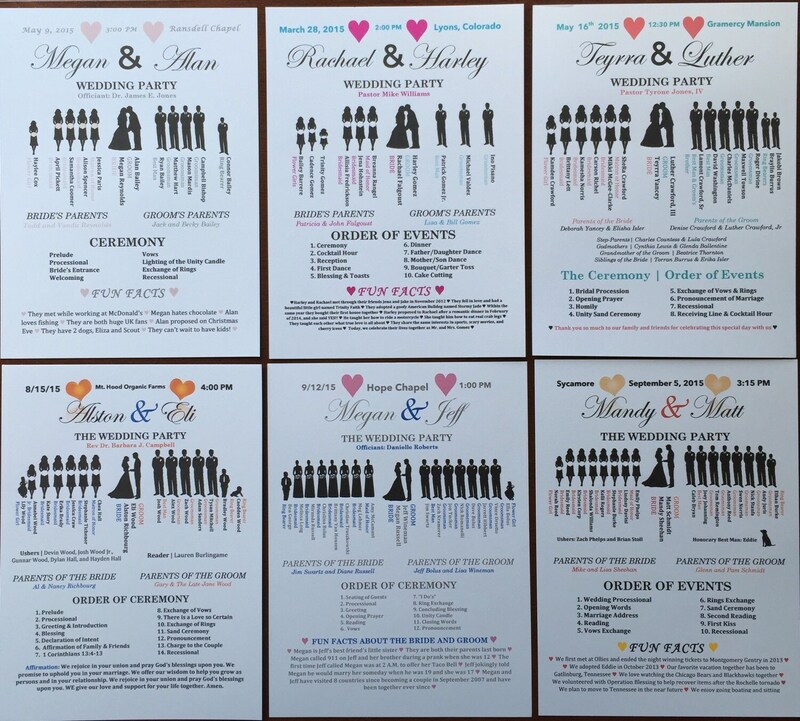 I will customize your wedding program to your liking. 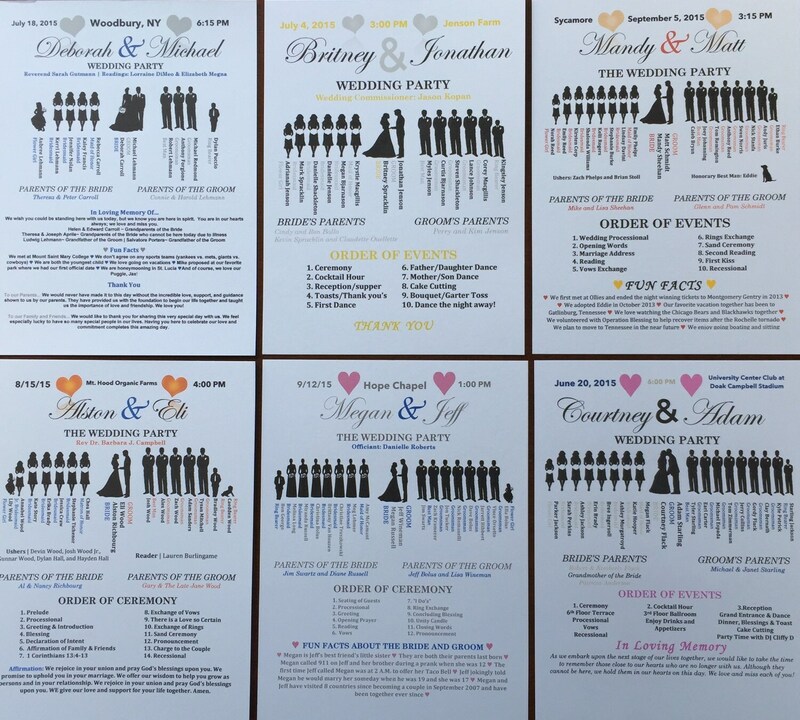 The main designs in the program are having the bridal party silhouettes, order of events, and fun facts. Anything on this program can be customized. I am super easy to work with and will respond quickly to any request! You will receive a first look of your program prior to completion so you can add/edit information.